Please note: CD and DVD orders are fulfilled by Sameach Music. When you click on the link, a new window will open. 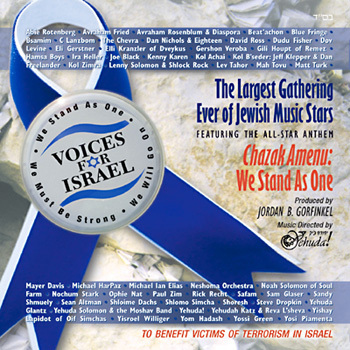 The historic 2-CD compilation featuring the all-star anthem, “Chazak Amenu: We Stand As One,” plus over 30 hit songs relating to Israel, Jewish unity, and the enduring hope for peace. 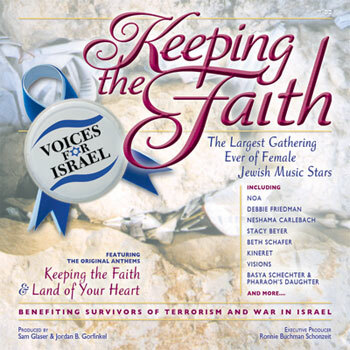 The new 2-CD compilation featuring the brand new anthems “Keeping the Faith” and “Land of Your Heart” plus over 30 hit songs by female Jewish Music artists relating to Israel, Jewish unity, and our enduring hope for peace. Custom covers are an ideal way to mark special occasions and milestone events! For a minimal art fee, Voices For Israel will produce a unique cover with the inscription and/or photo you supply. Please allow a minimum of 6 weeks for design, approvals and manufacturing. 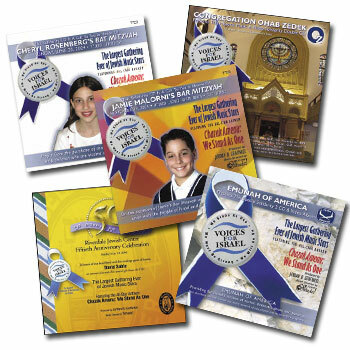 To order custom cover CDs, please call (917) 797-9106 or email order@VoicesForIsrael.org. 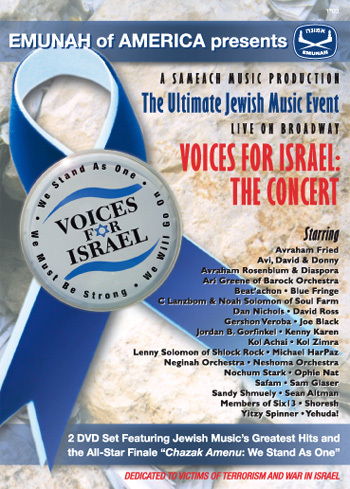 Relive the excitement of the star-studded Voices For Israel Concert! Including Jewish music's biggest stars performing their signature hits and the live all-star rendition of Chazak.